Charging a metal lap with diamond is a simple affair. All you need is extender fluid and a vial of diamond powder. If you are charging a Zinc lap or BATT lap, you will also need diamond compound to use along with the diamond powder and extender fluid. Diamond compound is in a vaseline-like base which helps to break-in harder laps. 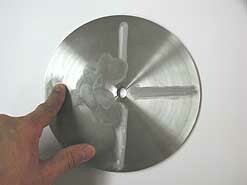 This procedure can be used for prepolishing as well as polishing laps. 1 Wash your hands and then wipe off your lap with a clean alcohol soaked paper towel and set it on a clean surface. 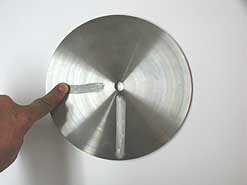 You can also place the lap on your faceting machine if you remove the splash pan. 2 Place 2 or 3 drops of extender fluid on your lap. 3 Rub the extender fluid on to the lap until the whole surface is uniformly covered. 4 While your finger is still oily from the extender fluid, place it on the end of the container of diamond powder. 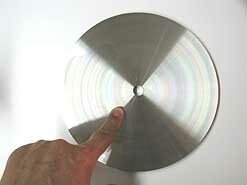 Wipe the diamond powder that sticks to your finger on to the lap in the pattern of a spoke. 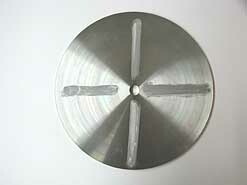 5 Make 3 or 4 more evenly spaced "spokes" of diamond powder on your lap. If you are using diamond compound, also rub a few small "spokes" of compound on the lap. 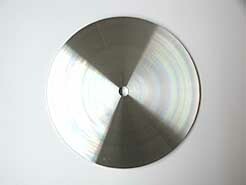 6 Rub the diamond into the lap in a circular pattern. Make sure the diamond is evenly spread across the whole surface of the lap. 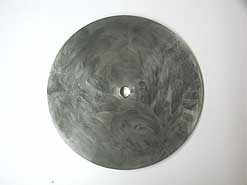 7 Once the lap is uniformly covered burnish the diamond into the lap with a boron carbide stick. 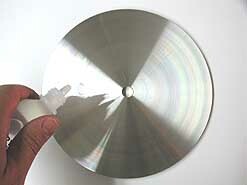 A piece of corundum or roller bearing will also work. With very slight downward pressure move it from the center of the lap to the edge of the lap while it is slowly rotating. Do this about 10 times. Then, reverse the rotation of the lap and repeat this procedure. The lap is now ready to polish your stones! If your lap starts producing fine scratches, clean it off with a clean paper towel wetted with alcohol. This usually fixes the problem.